On Black Friday, from 1-3, at the Sol Wellness and Gathering Space, come enjoy samples of Christmas Wines, Christmas Cake, Gourmet Coffee, Discount certificates to local businesses, door prizes and the Folk Music of AnamCara, a skilled group of local women who will create a Christmas Mood for all who enter! The building is beautiful and will hold delights of its own. Proceeds will go to the BUDS Gardeners for the 2019 projects such as monthly educational programs and upkeep of the Long Avenue and Main Street planting pots, and the continued development of the Formal beds Pollinator beds, Creekside bed and the Monarch program. Our annual Christmas Gift Wrap at the Mall could not be done this year, but we hope this will begin a new tradition for the area. We hope to enlarge the Sampler and move it to a better day for everyone. Contact Cheryl at 371-3322 or e-mail cshenkle@verizon.net for tickets. They will make a lovely, early Christmas present as well. You will be able to fill your Christmas list that day with discounted sales on seasonal items and services from right here, in our own town, plus you will be supporting the continuation of the work of the BUDS Gardeners. 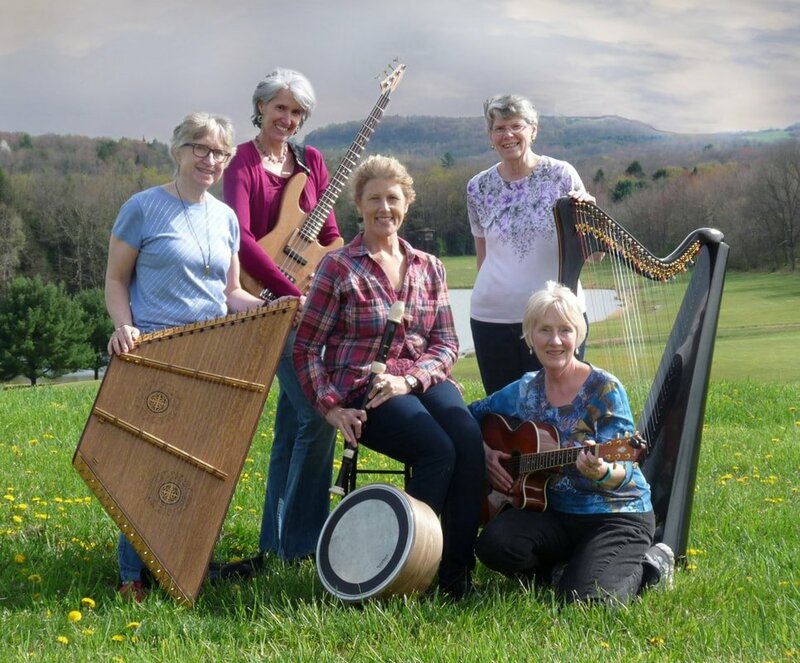 On Black Friday, would you like to have an afternoon of sweet Folk Music by AnamCara, fantastic food and product samples, the possibility of filling your Christmas gift list and receiving a door prize! Tickets ($20) are now on sale and available by contacting Cheryl at cshenkle@verizon.net 371-3322, or by visiting the SoL Wellness and Gathering Space when they are open. Only 100 tickets are available. This is our winter fundraiser for BUDS Gardeners!